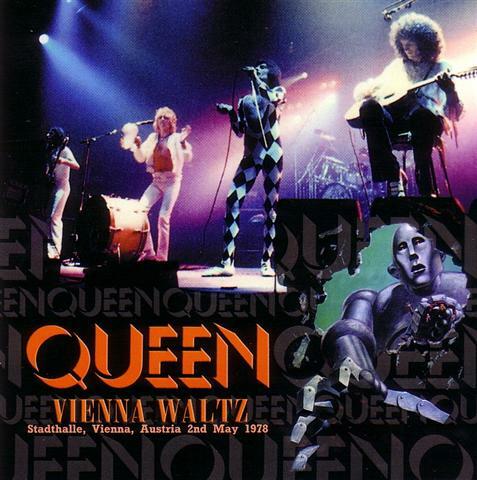 Queen's first show in Austria is a hot one, with everyone sounding strong. 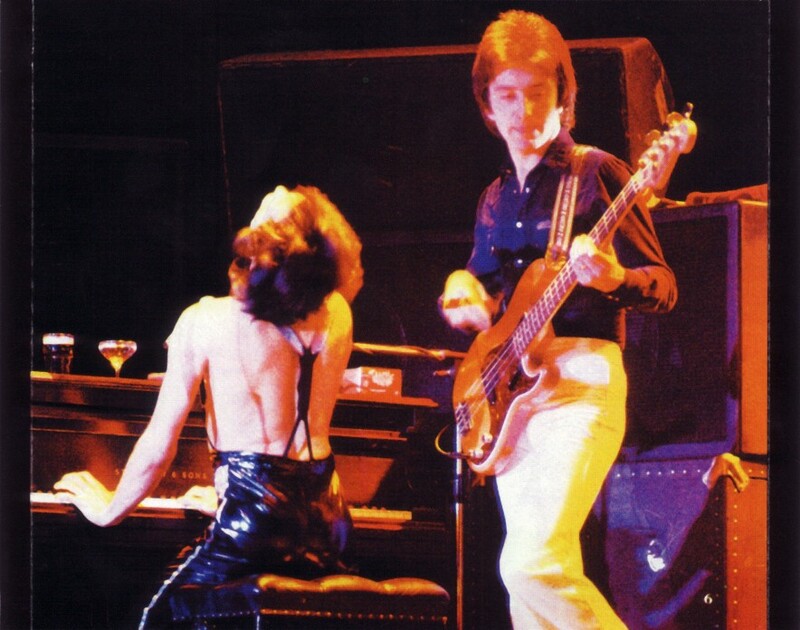 Freddie replies to an audience member after Somebody To Love: "How am I doing? I feel goooood!" 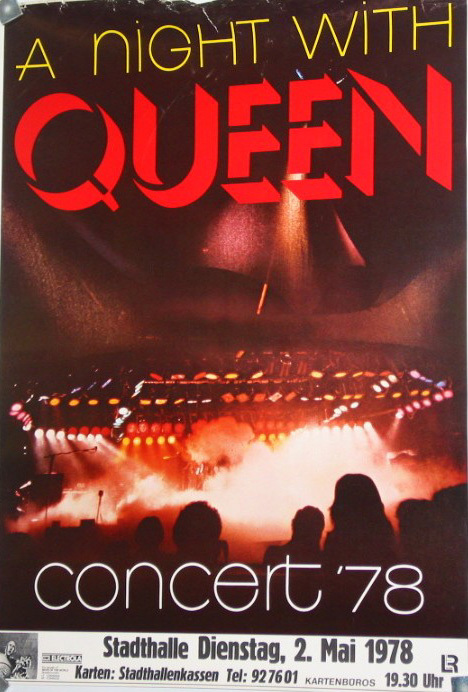 Tonight they play a stellar version of Spread Your Wings (Freddie sings a very unique "free man" during the first chorus), and also an excellent version of '39 with spotless vocal harmonies, as always on this tour. 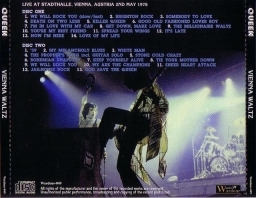 This is the last known performance of Stone Cold Crazy in the 70s, as it would be replaced by Liar for the last few shows of the tour. 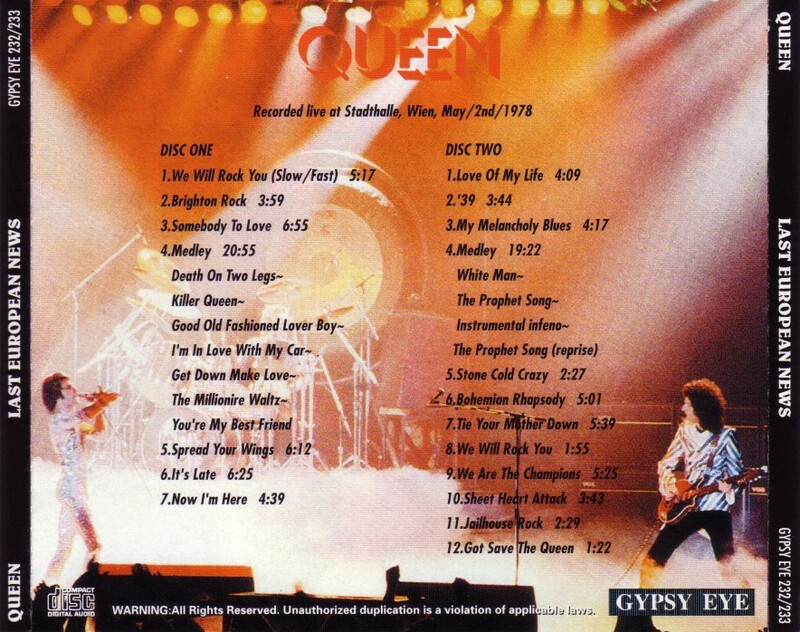 The speed rocker from Sheer Heart Attack would return to the setlist in 1984 as an abridged version merging into a snippet of Great King Rat. 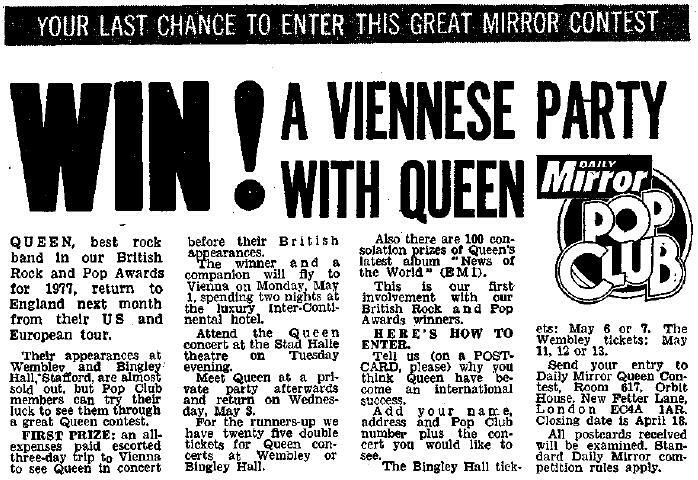 In April, the Daily Mirror had a contest for a lucky fan to be flown from the UK to Vienna to see the show and meet the band afterward. 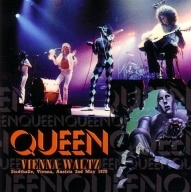 This audience source is missing Keep Yourself Alive. Here we have the Gypsy Eye crackling sound as usual. This is a superior second audience source. 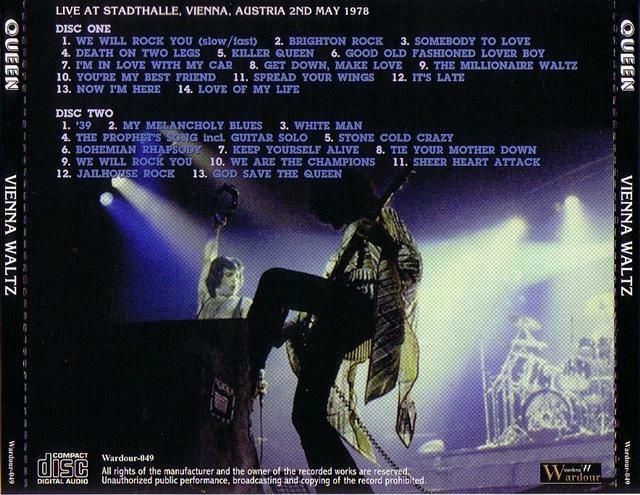 Only the cheering between encores is missing. The master tape was destroyed in a flood, and the owner of the first gen insisted on copying his tape to another, so a second gen is probably the best that will ever be heard from this source. This one is sourced from the above second generation tape, and they have used the Gypsy Eye bootleg to fill in the gaps between encores.